I like white lights: Mini, C7, C9, bubble, whatever kind I use, they are white. that is guaranteed to up the sparkle factor! continue reading to see what my ONE STEP TRICK is! 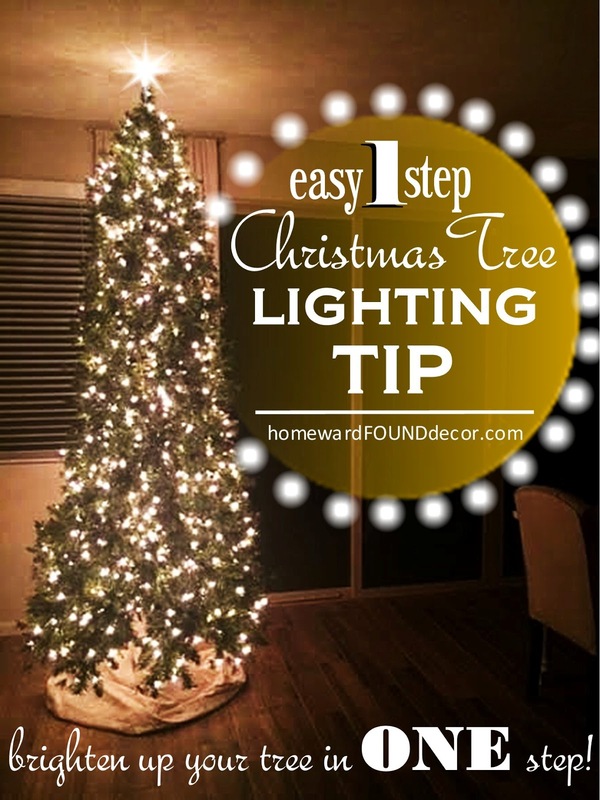 All you need for this is one EXTRA strand of mini lights to match the color of lights on your tree. and run it up the front of the trunk of the tree. 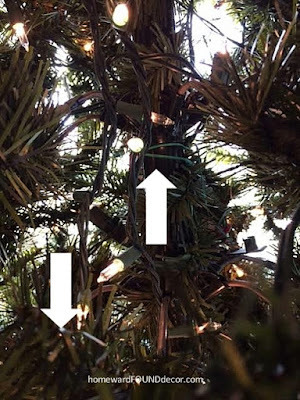 If your tree can be viewed from multiple sides, run THREE strands up three sides of the trunk instead. since the lights on the branches sit closer together there. PS: make SURE that the plug is on the end closest to the floor! 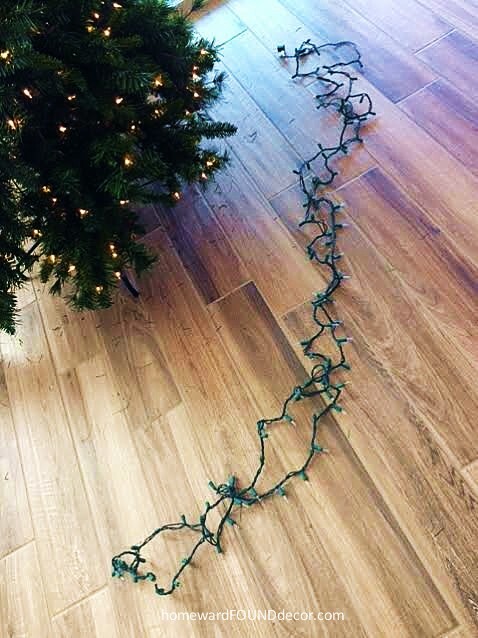 Attach the top of the strand to the trunk with a zip tie or wire, to hold it in place. 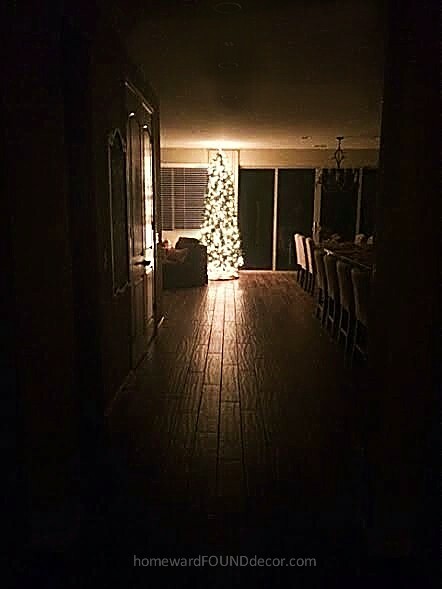 you can add this strand of lights before or after you light the rest of the tree. 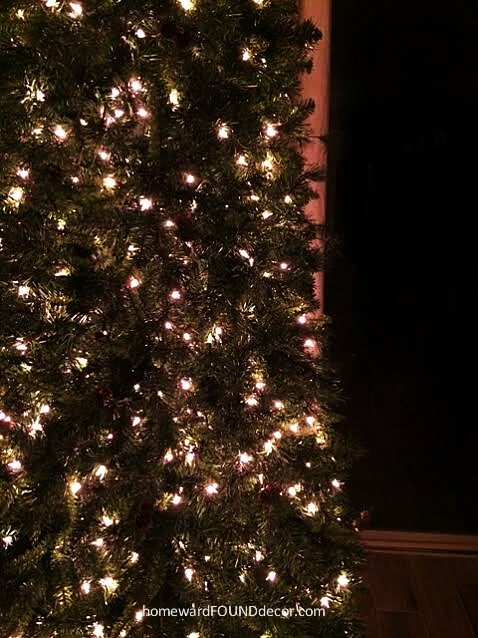 ...the extra lights glow deep INSIDE the tree branches, getting rid of dark shadows and 'holes'! even more than they usually do! and everyone comments on how bright they are! GREAT idea, Debi!!! Thanks for the tip!